The company is providing turnkey solutions for gas cleaning and gas compressing systems for bio gas generated from anaerobic process. The Biogas containing Methane, Hydrogen Sulphide, and Carbon Dioxide is cleaned / scrubbed and methane rich bio gas equivalent to CNG (Bio CNG) can be supplied in Cascade/ Cylinder or can be delivered in adjacent Gas Grid (Website of United Engineers). United Engineers (UE) was established in June 2014 and is an associated company of United Envirotech Pvt. Ltd., (UEPL). UE will focus in the field of renewable energy from Bio Gas as there is lot of potential of Bio Gas generation from diff types of organic wastes. UE aims to be a major contributor for the value addition of Bio Gas by utilizing it for BIO CNG and Power generation. This will reduce fossil fuel consumption and contribute towards sustainable growth. 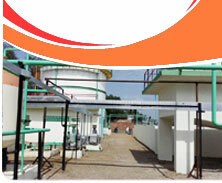 UE offers services for utilizing the biogas with most cost effective methods. UE is dedicated to the development of cutting edge gas cleaning technologies related to Hydrogen Sulphide (H2S) removal as well as Carbon Dioxide (CO2) removal from gas streams such as Biogas, and other unconventional gases. 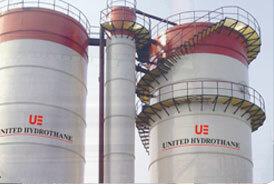 UE team has experience of more than 20 years to cater almost every aspect of cleaning and up gradation of biogas. A commitment to continuous innovation and up gradation of process technology permits UE to remain ahead of competitors. United Engineers aims to deliver clean biogas as a source of renewable energy for power & bio CNG generation. UE will strive to establish as a leader in this field and contribute in sustainable growth by replacing the fossil fuels. United engineers will work intelligently and relentlessly as a team to deliver quality products and services to the satisfaction of customers. We will continuously improve our products to be in tune with the industry requirements for optimum utilization. The core team has around 200 years of experience in Biogas plants from concept to commissioning. 33 years of experience in the field of effluent treatment and Bio gas generation. Designed, Engineered , supplied and commissioned more than 60 plants in biogas generation for different types of effluent from distillery , paper , starch , dairy etc. 38 years of experience in the field of effluent treatment and Bio gas generation. Designed, Engineered , supplied and commissioned more than 60 plants in biogas generation for different types of effluent from distillery , paper , starch , dairy etc. 22 years of experience in the field of effluent treatment, Bio gas generation, H2S removal from biogas and Natural gas, and BIO CNG generation. Designed and engineered more than 35 plants of H2S removal for biogas and natural gas and has the distinction of setting up India's first Bio CNG plant having capacity of 9 Ton /day. 27 years of experience in the field of effluent treatment, Bio gas generation, H2S removal from biogas and Natural gas, and BIO CNG generation. Commissioned and operated more than 35 plants of H2S removal for biogas and natural gas and has exclusive experience of operation of Bio CNG plant. 28 years experience in the field of effluent treatment and Bio gas generation. 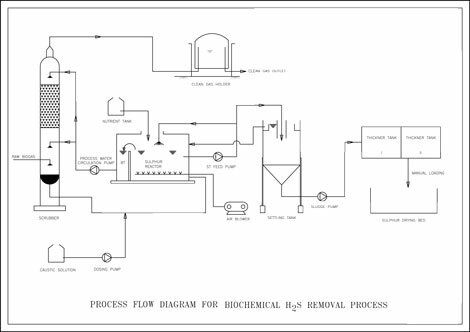 Involved in Detailed Engineering, Process Design , Equipment selection for more than 100 plants for effluent treatment and biogas generation for different types of industries like distillery , paper , starch , dairy, food processing, pharmaceutical etc. 25 years experience in the field of effluent treatment, Bio gas generation, H2S removal from biogas and Natural gas, Instrumental in lab analysis, pilot plant study , material selection and procurement. 38 years experience in the field of project execution for effluent treatment plant, Bio gas generation plant. 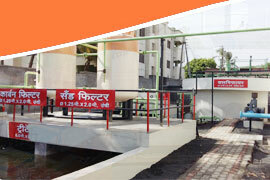 Executed more than 100 projects for effluent treatment and Bio gas generation and utilization. 9 years experience in the field of project execution for effluent treatment plant, Bio gas generation plant. Executed more than 20 projects for effluent treatment and Bio gas generation and utilization. Turnkey solutions for H2S removal from biogas for power generation. Turnkey solutions for H2S and CO2 removal from biogas to make bio CNG. Comprehensive technical services for H2S Removal plants and bio CNG plants. AMC for scrubbing plants, Power generation plants and Bio CNG plants. Project Management Consultancy for biogas based power plants & Bio CNG plants. Revamping and up gradation of existing H2S removal plant. Supply of Nutrient for Bio chemical H2S removal plant. Supply of spares for H2S removal as well as Bio Gas generation plant. Biochemical gas desulphurization system for H2S removal. Scrubbing system for CO2 removal from Bio-gas. Bio-gas Engine based system to convert Biogas into Electrical power. Biogas Up gradation to bio CNG. Biogas is a valuable fuel which can be used in no of applications out of which most important is power generation. Balance heat can be further recovered as steam, hot water etc. Bio Gas up gradation plant to convert it into Bio CNG. Biogas up gradation technology removes H2S & CO2 from Biogas and converts it into Bio-CNG which is equivalent to CNG or can be used to replace LPG. Very high H2S removal efficiency - up to 99 %. Low operation cost on chemical due to regeneration of caustic. Operation at ambient temperature and pressure. Convenient system for shifting from power generation to Bio CNG plant. 3 Green Elephant , Bhuinj Distillery Pre commissioning & commissioning of CO2 scrubbing plant. no direct air addtion to biogas to biogas which is explosive mixture. Incresed CH4 concentration increse concentration. load variation minor upset by adding caustic and quantity to be get improved. interval. During flushing plant operation get stoped. Loss of power during stopage. 7 Chocking Problem Not any Yes, happenn frequently at higher H2S concentration. remove and clean the packing material. 8 Water Requirement Less about 6 to 8 times more than Bio Chemical Process. 10 Technology Clean technology as sulphur is reco- Not clean technology as all sulphur go back to efflunt. difficult to handle Effluent having pH 1.5 to 2. Effluent having 6 to 8 % H2SO4 concentration. operating cost is higher than Biochemical scrubber. United Hydro-Thane (India) Pvt. Ltd.